If 2019 is a year for Healthier Living or Trimming Monthly Bills, homeowners in College Station, Texas should know about some of the Energy rebates which may be available to them for upgrading Older A/C & Heating systems to Higher Efficiency Unit and Currently Acceptable Standards. The Healthier living parts can easily come in from removing and replacing air ducts which might be involved with the newer system. EcoZapp matches new A/C Systems with 5 inch Media Filters and Reme Halo’s which offer whole home indoor Air Purification. Older A/C Systems usually come with Older Air Ducts which are recommend to be cleaned beyond a certain age. Lower Energy Bills is a nice bi-product from an A/C Replacement which often can help offset the upfront cost or the monthly financing options in which newer homeowners often choose. Replacement Air Conditioning or Heating Systems are often expensive and Future Saving on Energy Bills pair well with up to $800 Rebates per systems. Homeowner with 2 or 3 systems full systems will obviously benefit the most from the rapid decreased usage. This is of course if the Equipment + Install meet the requirements layout for each rebate type when offered after an inspection from the city. Some companies may focus more on competing on price when bidding project and homeowners in College Station should be aware which rebates apply to what type of SEER rated Equipment. The Energy Back II Rebates offers Homeowners up to a $800 Cash Rebate! It’s important for both the Homeowner & the Installation Company to Ensure Systems meet all Rebate Eligibility Guidelines. EcoZapp has a Team which helps homeowners with both the filing of warranties and the paper required for College Station rebates for those who are eligible. It’s easy to check and easy to enter info on EcoZapp’s site to have their Team check on current rebates. To Qualify, Homeowners must have both the condenser unit and the evaporator coil must be replaced. Application Required - But don’t worry EcoZapp’s Team does this for you! When EcoZapp installs replacement HVAC systems most homeowners choose to include a Media Filter as will as a Reme Halo in which can be installed very cost efficient on day on install. 5 inch Media Air Filters to Capture more and keep the system running more efficiency makes a good pair with the power of the Reme Halo. This whole home indoor air purifier can change the way a home feels, smells, and over-all health for airborne VOC’s. What makes now a great time to Cash in on this Energy Rebate ? 2019 has some impending price increases the HVAC industry is having on residential HVAC replacement costs for new systems, not all have taken full effect yet on the pricing Homeowner may face. Homeowner with older HVAC systems in which repairs are becoming difficult or systems in which have leaks forming should know that prices could be a rollercoaster for those who have continued to wait. EcoZapp’s Team is focused on helping homeowner get necessary replacement systems upgrading as Hassle Free as Possible. EcoZapp has been servicing the Brazos Valley since 2012 and has been providing same day home services since. 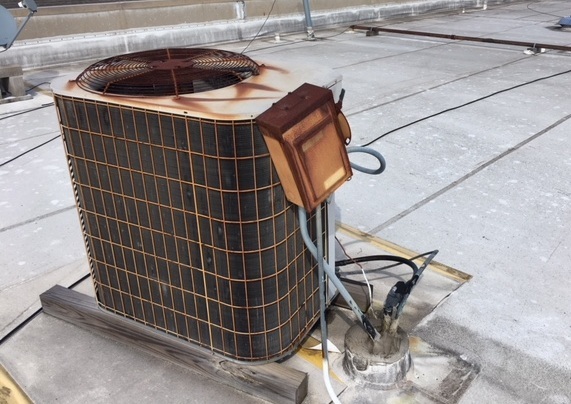 Installing A/C Systems in the cooler parts of the year often bring out other incentives and Financing perks to help installs crews beat the rush of Summer. Installing Heavy A/C Equipment in a Chilly Attic in Texas Vs. the Heat of Summer- helps time the Off-Season Price Increases Homeowners face.